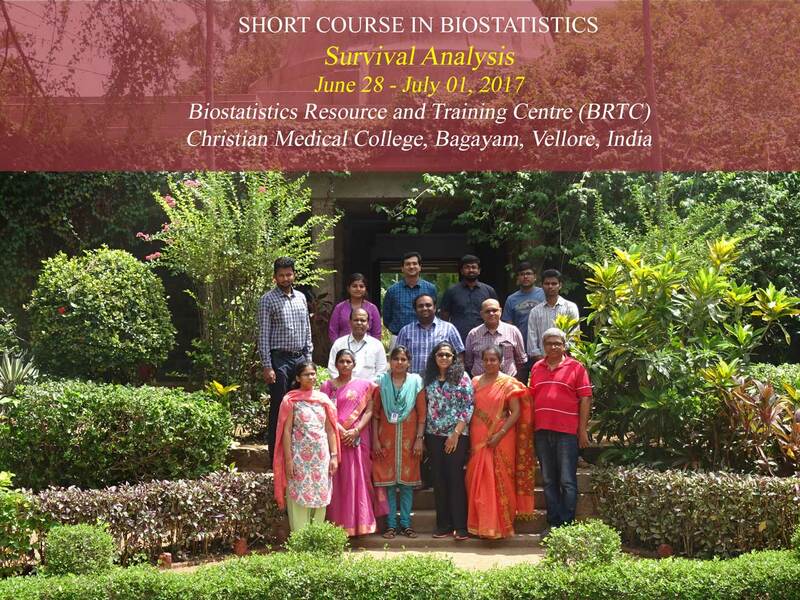 This course is intended to improve participant's ability to conduct Survival analyses which deals with time-to-event data. Comparison of survival time across different groups and modeling survival data to predict survival probabilities using many independent variables. Besides the above mentioned methods, we also provide details and hands on experience on some recently developed methods to handle recurrent events, competing risk models. Participants will have to bear their own expenses for travel, boarding and lodging. The Organizers will give Course kit, Lunch and Snacks. Please note that no on campus accommodation will be available for this course. Participants are requested to book their accommodation directly to the hotel for their choice in Vellore. The list and details of hotels available in Vellore is attached herewith.